For any individual low energy, poor memory and brain fog is a hindrance, and this is a big problem faced by many. Millions of children and adults in America today struggle with mental fatigue, learning, reading & attention challenges. With it follows lowered working efficiency, relationship disputes and significantly reduced quality of life. Much of this could be remedied if these individuals knew how to maximize their brain energy. We spend a lot of time talking about keeping our physical health in check, but brain health and function is important, too. A healthy brain allows us to learn and remember, communicate, solve problems, and make decisions. The brain, however, may start showing cognitive decline as early as your 20s. For this reason, practicing standard healthy behaviors — like eating a balanced diet, getting regular physical activity, learning Yoga and Meditation and not smoking or drinking excessively — are key to maintaining your brain health. Additionally, the brain depends upon specific nutrients in order to function with peak capacity. There are also certain nutrients that are challenging to get from our diet and lifestyles. These nutrients can be supplemented with through pure, high-quality sources. Such supplements have gained popularity in today’s highly competitive society and are most often used to boost memory, focus, creativity, intelligence, and motivation. These are some the most specific nutritional supplements for healthy brain function. Applying these advanced strategies use brain-boosting supplements to improve our performance and quality of life. This article goes over the top 10 brain boosting supplements to improve your mood, memory, and mindset. Modafinil is amongst the most powerful of nootropics (smart drugs) available today. Mostly sold under the trade names Provigil, Alertec, Modalert, Modapro, and Modiodal, it is a central nervous system stimulant approved by the United States Food and Drug Administration (FDA). It is primarily used as a wakefulness-promoting agent to increase one’s energy and alertness levels, but many users also employ modafinil for its potent properties of improving focus and concentration. It is sold as a prescription drug in the United States and Canada. Modafinil is listed as a Schedule IV Controlled Substance, thus marking its low potential for abuse and dependency. A derivative of the revolutionary non-amphetamine stimulant, adrafinil, modafinil was first discovered in 1976 by Michel Jouvet, a French medical professor, in collaboration with the pharmaceutical company Cephalon. Early animal studies highlighted the role of modafinil in causing physical and mental overactivity. It was subsequently deployed in humans for the first time in 1986 as an experimental treatment for narcolepsy, a sleep disorder characterized by overwhelming daytime drowsiness. After its initial success, modafinil was employed to treat certain other sleep disorders, including lack of sleep due to shift work and obstructive sleep apnea. The American and British military is also reported to have used modafinil to help keep their soldiers awake and functioning at high capacity (in some instances, for up to 40 hours at a stretch). Multiple studies have confirmed the drug’s actions in reducing the deleterious effects on the brain due to short-term sleep deprivation. Due to these reasons, modafinil has become a popular nootropic used by many people around the world today, primarily to improve their cognitive performance. Modafinil is known to act on both the central and peripheral nervous system. However, its precise mechanisms of action are yet to be elucidated. It is usually sold in the form of 100 mg or 200 mg tablets. 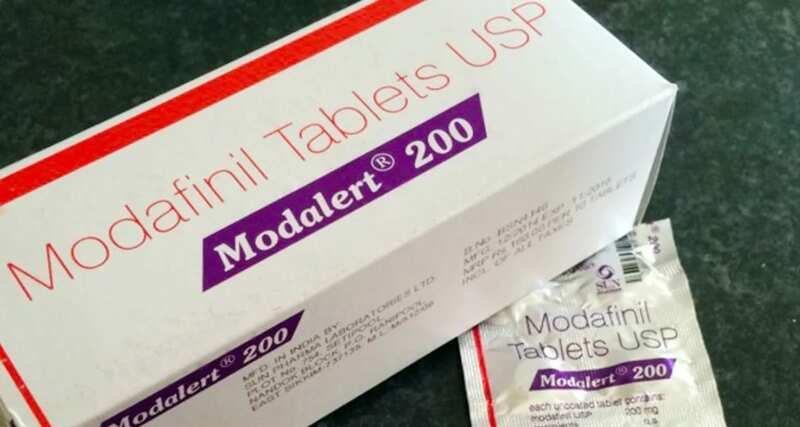 If you already are suffering from some serious medical illness, it is important to consult with a physician before embarking on the use of modafinil. Amphetamines are central nervous system (CNS) stimulants that are used to treat ADHD and narcolepsy. Some of the brand names of amphetamines sold in the United States are Dexedrine, Biphetamine, Das, Dexampex, Ferndex, Oxydess II, Spancap No 1, Desoxyn, and Methampex. The purpose of Amphetamines is to stimulate the nervous system and are used in the treatment of depression, attention-deficit disorder, obesity, and narcolepsy, a disorder that causes individuals to fall asleep at inappropriate times during the day. Amphetamines produce considerable side effects and are especially toxic in large quantities. Amphetamines are commonly abused recreational drugs and are highly addictive. Although, its popularity on college campuses around exam time, Amphetamine has substantial risks. In healthy adults, it improves attention, focus, motivation to work, and short-term memory, all by increasing dopamine and norepinephrine release in your prefrontal cortex. Amphetamine also decreases fatigue, but it makes you jittery and can increase anxiety. The most common side effects that are associated with amphetamines include, an addictive potential, the development of an irregular heartbeat, increased heart rate, increased blood pressure, dizziness, insomnia, restlessness, headache, shakiness, dry mouth, metallic taste, diarrhea, constipation, and weight loss. Other side effects can include changes in sexual drive, nausea, vomiting, allergic reactions, chills, depression, irritability, and other problems involving the digestive system. High doses, whether for medical purposes or illicit ones, can cause addiction, dependence, increased aggression, and, in some cases, psychotic episodes. They are usually given orally and their effects can last for hours. Amphetamines produce their effects by altering chemicals that transmit nerve messages in the body. The typical dose for amphetamines in the treatment of narcolepsy in adults ranges from 5 mg to 60 mg per day. People who are taking amphetamines should not stop taking these drugs suddenly. The dose should be lowered gradually and then discontinued. Amphetamines should only be used while under the supervision of a physician. People should generally take the drug early in the day so that it does not interfere with sleep at night. Patients taking amphetamines should always tell their physicians and dentists that they are using this medication. Patients should consult their physician before taking any over-the-counter medication while taking amphetamines. Often referred to as a “smart drug”, piracetam is considered the most popular smart drug or nootropic. It is a substance derived from gamma-aminobutyric acid (GABA), a type of amino acid and brain chemical. People take it to enhance their brain function. Sometimes used in the early stages of Alzheimer’s disease and aging-related memory impairment it can help increase brain function by promoting communication between the left and right hemispheres of the brain. It improves the flow of blood and oxygen to the brain which helps in the improvement of awareness and memory. Piracetam is available under the following different brand and other names: dinagen, myocalm, nootropil, and qropi. Piracetam is also said to slow up the aging process and promote recovery from alcoholism. Although piracetam is also available for sale in the United States, the U.S. Food & Drug Administration has stated that piracetam cannot be marketed as a dietary supplement due to the fact that it cannot be classified as a vitamin, mineral, amino acid, botanical, or dietary substance. The supplement is approved in many European countries for myoclonus, and aging-related conditions (dementia, Alzheimer’s). 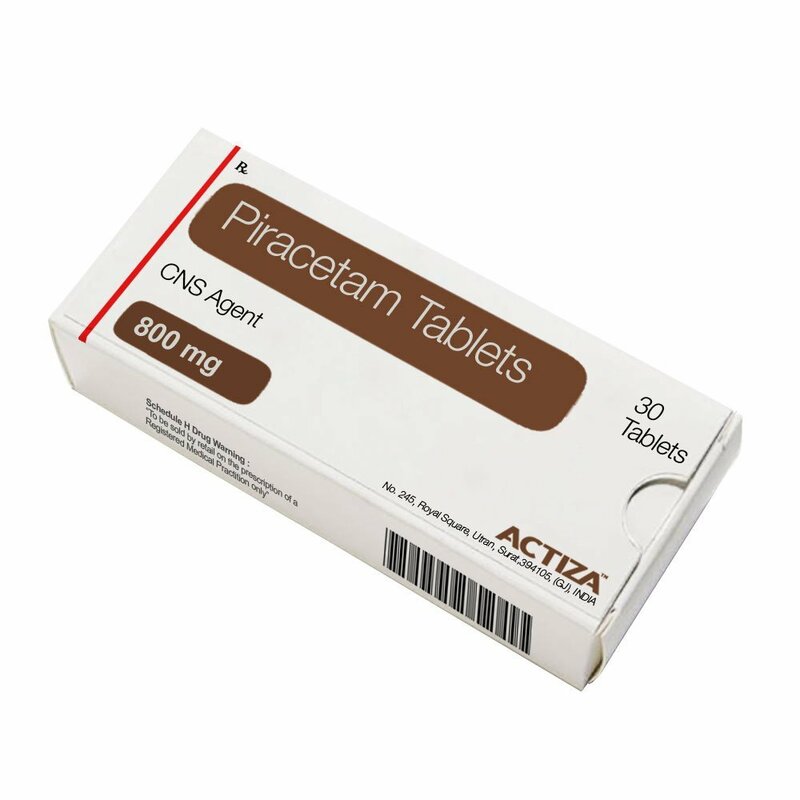 Piracetam has anti-platelet activity, meaning that it can thin the blood. So the same cautions would go along with any blood thinner. You should be cautious if you’re taking blood thinning medication, if your platelets are low, you’re at risk of bleeding disorders, or will be going to surgery within 2 weeks. If you’re seeking an alternative to piracetam, a number of natural remedies may help improve your brain health. For instance, fish oil, a source of omega-3 fatty acids, have been found to enhance cognitive function, preserve memory, and protect against depression and Alzheimer’s disease. Found naturally oily fish (including salmon, sardines, tuna, mackerel, and herring), fish oil is also sold in supplement form. One of the champions of the -racetam group, Aniracetam is a powerful cognitive performance enhancer. It creates a period of lucid, focused mental clarity in which anxieties are reduced, memory is made precise, and thought is concentrated. This allows for greater problem-solving capabilities, verbal fluency, and an enhanced attention span. Aniracetam is a stronger version of its parent compound piracetam and promotes feelings of creativity and holistic thinking as well as reducing anxiety and helping those who suffer from depression. While not many human studies have done, it has shown to have positive effects on learning and memory in individuals. Aniracetam works by increasing blood flow to the brain and providing stimulating effects on the cerebral cortex. It does so by causing the acetylcholine system to operate at a much more intense rate. Since the acetylcholine system is essential for extremely important functions that dictate everyday life, you can see how Aniracetam would provide a massive boost in your cognitive abilities. Acetylcholine is a neurotransmitter responsible for supporting memory, attention, learning and many other processes we take for granted. Aniracetam binds to acetylcholine receptors causing more acetylcholine to be released into the brain. Many individuals also report an elevated mood and increased energy after taking Aniracetam. This is due to the fact that it increases levels of dopamine and serotonin in the body. It does this in the same way as it increases acetylcholine. It binds to the receptors that are normally meant for dopamine and serotonin and causes the brain to release more. The average dosage of Aniracetam is 750-1500 mg, but some people have been known to take 3000 mg a day with no problems. Aniracetam tends to intensify the effects and rate of alcohol intoxication: two drinks might leave you feeling like you had four or more, including amplified sedative effects and loss of impulse control. For this reason, it is advised not to combine this product with Alcohol. Qualia Mind is a premium supplement that helps support mental performance and brain health. The highly popular supplement is said to be designed to nourish the mind with over 40 premium brain nutrients to promote focus, energy, mental clarity, mood, memory, and creativity. Qualia Mind’s formulation is gluten-free, non-GMO and is sourced using potent, high purity, bioavailable forms of each ingredient. The unique combination of ingredients promotes clear-headed concentration to pay attention to what you need to do. Experience amplified willpower with smooth, clean energy that lasts all day, with no jittery bursts or sudden crashes. Instructions are to take seven capsules with water first thing in the morning before eating, or, if this upsets your stomach, take with breakfast. This supplement was designed for regular use with cycling: five days on and two days off each week. This process is meant to maximize the benefits while preventing desensitization. In addition to immediate neurochemical and physiological effects, Qualia Mind says to go a step further addressing long-term cognitive health benefits. It promotes supporting increased neuron and synapse development, mitochondrial ATP, healthier cell structures, and neural complexity. Qualia was designed to be free of adverse side effects when taken appropriately. Qualia is not a placebo but is a powerful psychoactive with 42 ingredients, so do follow all of the instructions mentioned by the manufacturer carefully. A small percentage of people may experience minor issues, such as headaches, sleep disturbance, muscle tightness, upset stomach or fatigue. ALCAR can give you an edge in the gym, too. It shuttles fuel (in the form of fatty acids) to your muscle mitochondria, which ramps up your energy production and can increase endurance. ALCAR also pushes your metabolism toward fat burning while you work out. When you take ALCAR, it turns into carnitine in your body, and if your insulin levels are low, carnitine becomes very important for burning fat. When your insulin is low, your mitochondria start turning to fat for fuel. They grab onto stored body fat (or fat you eat), break it down into fatty acids, and send the fatty acids to your mitochondria. Your mitochondria turn those fatty acids into ATP (energy) that powers your cells. But fatty acids can’t get into your mitochondria alone. They use something called a carnitine shuttle. Basically, carnitine latches onto fatty acids and carries them into your mitochondria. It gives your mitochondria the raw materials to produce lots of energy and function at their best. In other words, you need carnitine to metabolize fat. If you’re low on carnitine, fat can’t get into your mitochondria, and you struggle to use it for fuel. But with abundant carnitine, your fat metabolism works like a well-oiled machine. ALCAR is an anti-aging nootropic, or smart drug, meaning, it helps your brain perform better. The acetyl group on it lets it pass your blood-brain barrier and reach your brain and nerves, where it can improve your mood, learning, and memory. Acetyl L Carnitine Acetyl-L-carnitine is a supplement form of L-carnitine that can pass your blood-brain barrier, giving it access to the dense collection of mitochondria in your brain, as well as to the mitochondria in the rest of your body. That explains why ALCAR is becoming so popular as a nootropic supplement (something that makes your brain work better). More mental & physical energy: Older men and women who took ALCAR daily saw a significant boost to their physical and mental energy levels, as well as better overall cognitive ability. Improves cognitive function: People with low carnitine levels see a major decrease in brain function. Taking ALCAR improves that brain function. A lot. In a recent study, 8 out of 14 participants reversed a diagnosis of dementia and returned to their full cognitive abilities after taking ALCAR daily. Lowers inflammation: Acetyl-L-carnitine decreases inflammation in healthy adults. Part of it is because ALCAR increases glutathione, your body’s master antioxidant. Side note: glutathione is awesome for hacking hangovers. And, as it turns out, ALCAR decreases damage to brain cells after drinking, too. Boosts circulation: In healthy adults, ALCAR increased circulation and nutrient-rich blood flow after a high-fat meal. Good blood flow is an essential part of muscle and brain function. Improves focus: Acetyl-L-carnitine improves attention, both in kids with ADHD and adults who struggle with mental fatigue. Noopept is a cognitive enhancer that is part of the racetam family of nootropics. It is also the brand name for N-phenylacetyl-L-prolylglycine ethyl ester, a synthetic nootropic molecule. The supplement has a similar effect to piracetam, in that it provides a mild cognitive boost after supplementation. Noopept also provides a subtle psychostimulatory effect. Noopept has a much lower standard dose than piracetam (10-30mg, compared to 4800mg), and it provides a general neuroprotective effect after supplementation. Noopept works via a similar mechanism as piracetam but is estimated to be 1,000 times more potent. Its impressive potency doesn’t imply that its effect is more profound than piracetam; it simply attunes itself better to the brain’s receptors. As a result, Noopept can be taken in relatively smaller doses to produce similar effects as that of piracetam. This neuroprotective effect occurs during various states of cognitive trauma, including oxidative stress and physical trauma. There is, however, no evidence to suggest Noopept provides benefits for people with no cognitive ailments. To have a better understanding of Noopept, here is a breakdown of its many benefits. Memory and Learning: Noopept’s is typically taken to enhance memory and improve the learning process. Neuroprotective Properties: Various studies show that Noopept has powerful neuroprotective properties. Improves Communication Between Brain Hemispheres: Both the right and left hemispheres of the brain to have their own localized functions. There are nuances among these functions that enhance the way we think. Anxiety Reduction: There is evidence that Noopept may be able to reduce anxiety. Noopept has quickly risen in popularity and has made its way into many people’s nootropic stacks due to its impressive effects, ease of its small doses, and its economical price. Whether you are an experienced nootropic user or just getting started, Noopept may be worth your consideration. 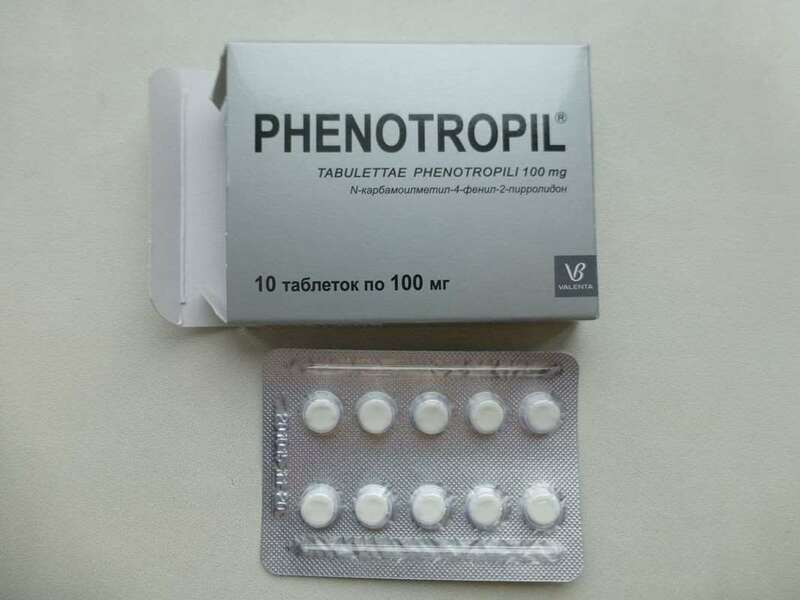 Phenotropil (also known as Phenylpiracetam or Carphedon) – one of the most controversial smart drugs. The drug was developed in early 1983, at the Russian Institute of Space Biology and Medicine. It was designed to help astronauts increase their working performance. However, now Phenotropil has a wide range of action: boosts concentration, enhances neuromuscular connections and motor skills, improves memory function, increases pain tolerance, reduces the severity of hypnotic action of ethanol and hexenal, stimulates antibodies generation as a reaction to antigen introduction. The term “asthenia” is widely-used in Russian clinical practice. It is comparable to chronic fatigue syndrome that means general weakness, lack of mental and physical energy and sometimes narcolepsy. In that case, Phenotropil can help CFS sufferers to get back to normal life and restore their emotional energy. Several clinical trials done in asthenic people showed its effectiveness. For example, placebo-controlled trial of Phenylpiracetam done on 180 patients with chronic fatigue showed 87.5% treatment efficiency. Similar results were obtained on the asthenic adolescents. 30 days long monotherapy with Phenotropil improved their memory, attention, and cognitive functions, as well as cerebral blood flow. Standard treatment combined with Piracetam was less effective. Another official indication for use is organic brain syndrome followed by attention and memory deficits. This includes traumatic brain injuries, hypoxia, and ischemic stroke. However, Phenylpiracetam is less commonly used in the treatment of severe brain injuries like ischemia, compared to Piracetam or Cortexin. Most studies of this substance were done on chronic fatigue sufferers. Individuals who should consider using this supplement includes students, athletes, and those interested in boosting their energy levels. Anyone looking to stay alert and awake, whether this is needed for studying or being more productive at work could benefit from this supplement. It can be used before a test in order to bolster focus and improve memory (although during an actual study session will probably be more effective than right before the test itself). Athletes and bodybuilders can also reap a lot of benefits from this supplement. Not only can it be an effective pre-workout substance to help you train harder, but many have found it also helps with recovery. Strength and weight training athletes may feel like they can recover faster after intense workouts with Phenotropil. A most common side effect of Phenylpiracetam is insomnia. That’s why it is recommended to take it before 3 pm. Some people may experience the opposite effect while taking Phenotropil – excessive sleepiness. The next side effects are pretty common to all stimulants: impulsivity, irritability, and anxious mood. Also, Phenotropil may cause hypertension (increased blood pressure) and skin redness. So it is better to start with the lower dosage, just like with any other Nootropic. If you experienced side effects and it outweighs the benefits, it’s better to stop taking it. However, according to data from clinical trials, adverse effects may disappear within two weeks without ceasing the treatment. Pramiracetam is a racetam molecule that was initially synthesized from piracetam by substituting the amide group in piracetam with a dipropan-2-ylamino ethyl group. This substitution allows pramiracetam to be more potent than piracetam. Relative to the other racetams, pramiracetam is not that well researched but does appear to have some human evidence. Pramiracetam was developed in 1979 by Parke-Davis, a division of the Warner-Lambert pharmaceutical company. Pramiracetam was at first distributed under the brand name Pramistar. Pramiracetam may increase memory and enhance learning ability. It also has the potential to treat amnesia and help with brain injuries. Enhance Memory: A pilot study of 35 elderly volunteers with memory loss found that those who received pramiracetam showed greater improvements in memory than those who received memory training, as well as those who did not receive either. Helps Prevent and Reverse Amnesia: In a study (DB-RCT) of 24 young and old healthy volunteers, pramiracetam partially reduced the memory loss caused by scopolamine, a drug that produces temporary amnesia. Improves Recovery from Brain Injuries: In a study of 65 people with mild brain injury, pramiracetam reduced headaches, dizziness, and nausea and improved orientation and feeling to a greater extent than piracetam. Improves Memory Decline Caused by Lack of Blood Flow to the Brain: Chronic cerebrovascular insufficiency refers to a number of conditions in which the arteries supplying blood to the brain are blocked, causing memory loss. Pramiracetam improved memory decline in chronic cerebrovascular insufficiency patients. The mechanisms of pramiracetam are not well known, but it appears to alter EEG activity in all tested rats (young and old) and may be able to enhance high-affinity choline uptake. It is similar to piracetam and other racetams in the sense that its mechanisms seem dependent on the adrenal glands and some peripheral effects, but beyond that, the mechanisms have not been further elucidated. Currently, the evidence using pramiracetam in humans uses either 400mg thrice daily or 600mg twice daily; both of these dosing regiments totals 1,200mg of pramiracetam daily. It is unsure if pramiracetam should be taken with meals, and it is not clear if 1,200mg is the optimal dosage or not. This does, however, does appear effective. It appears to be effective when taken acutely (1-2 hours) before cognitive testing, and studies looking at working memory do not note many effects. Human studies support this, but they are limited in statistical power and currently, there are no human studies in otherwise healthy youth for the purpose of cognitive enhancement. It is a highly purified drug, unlike herbs that typically contain hundreds of chemical ingredients. It is known as an acetylcholinesterase inhibitor, which means that it stops an enzyme from breaking down acetylcholine which results in increases in acetylcholine. Acetylcholine is one of the chemicals that our nerves use to communicate in the brain, muscles, and other areas, which is also known as the learning neurotransmitter and is involved in muscle contraction as well. Increasing levels of acetylcholine is routinely used as a technique amongst weight-lifters and scholars. The drug is used for Alzheimer’s disease, memory and learning enhancement, and age-related memory impairment. It is also used for treating a muscle disease called myasthenia gravis, for increasing alertness and energy, and for protection against agents that damage the nerves such as nerve gases. Huperzine A is thought to be beneficial for problems with memory, loss of mental abilities (dementia), and the muscular disorder myasthenia gravis because it causes an increase in the levels of acetylcholine. This article is for informational purposes only and does not constitute medical advice. Explore Biotech does not recommend or endorse any specific products, studies, opinions, or other information mentioned in this article. This article is not intended to be used for, or as a substitute for, professional medical advice, diagnosis, or treatment. Always seek the advice of a physician or other qualified health provider with any questions you may have before starting any new treatment or discontinuing any existing treatment. Reliance on any information provided in this article or by Explore Biotech is solely at your own risk.